Common sense has prevailed at Fremantle port with DP World and the MUA agreeing to continue to negotiate on a new workplace agreement. Although there will be a four hour work stoppage this afternoon, DP World will not contract out work to rival Patrick and union members will continue the loading of cargo at North Quay. I just watched the new StopThinkRespect video, which is the new campaign against racism in Australia by BEYOND BLUE. It is very powerful and I had goose bumps running down my spine, because I have never understood racism and judging people on their appearance, skin colour, culture, religion or language. I believe that most people deserve respect and courtesy. To read that a survey by Beyond Blue shows that one in five non-Indigenous Australians would move away if an Indigenous person sat next to them on public transport is outrageous. Ten percent of those surveyed also stated they would never hire and Indigenous job seeker. From my observation there is a huge amount of latent racism in Australia, but society puts its head in the sand and ignores it. We still live the urban-myth of the laid-back country where fair go for all is the norm, but sadly that mainly applies to those of us who are white. Racism is despicable and without foundation. It is often the fear of the unknown, as the majority of people can’t be bothered getting to know people from other cultures, and that is very sad because we can all learn so much from each other. I am astounded to read in the West Australian newspaper today that a quarter of WA primary schools no longer teach foreign languages. Only four years ago all primary schools taught a foreign language. Schools claim the reasons for dropping foreign languages are lack of funding, lack of foreign language teachers, and that they want to concentrate on literacy and numeracy instead. I went to school in the Netherlands and learned French, German and English and it did not affect my numeracy or literacy skills at all. In fact it enabled me to start my career as a photographer in Germany and to migrate to Australia. On both occasions my language skills were good enough to not have a huge culture shock in the new countries of my choice, and over a relatively short time I became very fluent at them. It is short-sighted to believe English-speaking nations do not need foreign language skills. Western Australian schools should be teaching the languages of our close neighbours and trading partners such as Chinese, Japanese, Korean, Indonesian, as this will open up career opportunities both in Australia and overseas. To be able to read and write foreign languages has been a blessing for me and helped me to follow my love for photography and make it into my profession. It is also very rewarding to see how much tourists to the Round House appreciate those tour guides who can speak their language as it gives a sense of bonding. Don’t limit the opportunities for our children. Give them a chance to work overseas by teaching them foreign languages! DP World, Australia’s, and reportedly the world’s largest port operator has found an innovative way of dealing with an industrial dispute at Fremantle port. 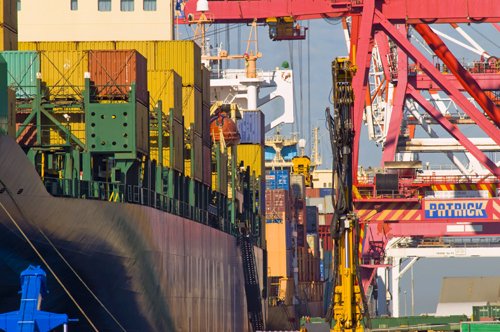 The company has countered threats of work stoppages by the Maritime Union of Australia (MUA) by stating they will engage rival port operator Patrick and contract out their work to provide certainty for their customers who have ships on the high sea. It appears this is not just about workplace action at Fremantle, but might well have to do with the company posting a $ 68 million after-tax loss in Australia. 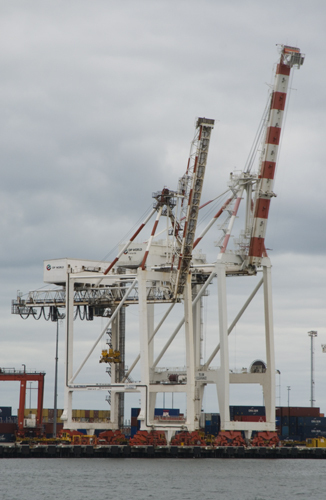 Will a compromise be reached between DP World and the MUA before Thursday, or will the cranes stay up at DL? 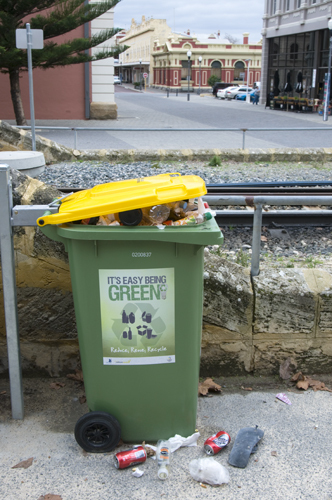 It has been two and a half weeks today that the new recycle bin near the Whalers Tunnel at the steps to the historic Round House has been full, because the City of Fremantle has failed to empty it. Thousands of tourists walk by there every week, but those in charge of rubbish collection keep forgetting to do this very basic job of emptying the bin west of the railway line regularly. I often get request from local residents and businesses to report on overflowing bins at Captain’s Lane, J Shed and along the rail line, but it appears to be falling on deaf ears at Fremantle council and that is not good enough. Waste is a huge problem all over the planet. Domestic and commercial waste needs to go somewhere, so it ends up in landfill or designated areas, where often toxic waste leaks into the ground and ground water. What is the future of waste a forum at the Fremantle Town Hall asked, with an indication that an incinerator at Kwinana could be the preferred option. It is always difficult for lay-people to know what the facts are, so I won’t even attempt to deal with the technicalities, but it became clear that even incinerators still produce toxic ash that goes into landfill, and release toxic gas that pollutes the atmosphere. No surprise then that there were quite a few people from Kwinana asking the question why they should live with other council’s pollution. It is neither practical nor economically viable for every council to operate their own incinerators, so the locations for them are always going to be controversial. As Greens Lynn MacLaren said, Cockburn Sound Cement problems have not given the community much confidence, as locals have had to live with toxic smells and dust from that plant for years. In my opinion the problem with waste management around the world is that it is re-active instead of pro-active. We produce far too much waste and that needs to stop and it starts with our manufacturers and supermarkets. Society should no longer tolerate excessive and double packaging, plastic bags in cardboard boxes, etc. etc. The pressure needs to be put on our governments, but also on Coles and Woolworth and let them know we no longer want old-fashioned packaging, but we insist on new, more environmentally friendly and less packaging. That would be a start. We also need to turn around our wasteful mentality and throw away attitude, the need in the western world to have the latest of everything, thus making perfectly working appliances obsolete and ready for the enormous global waste heap. We need to ask ourselves if we really need the latest mobile, TV, computer, camera, kitchen gadget, or if what we’ve got will suffice for many more years. Waste management should start with each and every one of us. WE need to reduce the amount of waste we produce because WE are creating a huge problem for all of us. Are incinerators the solution or just our way of making governments responsible for our inconsiderate behaviour? Taking ownership of our waste would be a good start. A father’s search to find the healthiest building materials leads him to the completion of the nation’s first hemp house. Hemp with lime is a non-toxic, energy-efficient, mildew, fire and pest resistant building material. The drawback — although research is legal in some states, hemp remains off-limits to almost all U.S. farmers. Industrial hemp is a non-psychoactive plant, grown in 31 other countries that makes 1,000′s of sustainable products and offers solutions for global warming, nutrition, poverty and deforestation. In the U.S., hemp could be a money-making crop for farmers and create jobs. But why can’t Americans grow it? BRINGING IT HOME tells the story of hemp: past, present and future and a global industry that includes textiles, building materials, food products, bio-plastics, auto parts and more. There will be a speaker and time for questions and discussion about the use of hemp in WA after the movie. 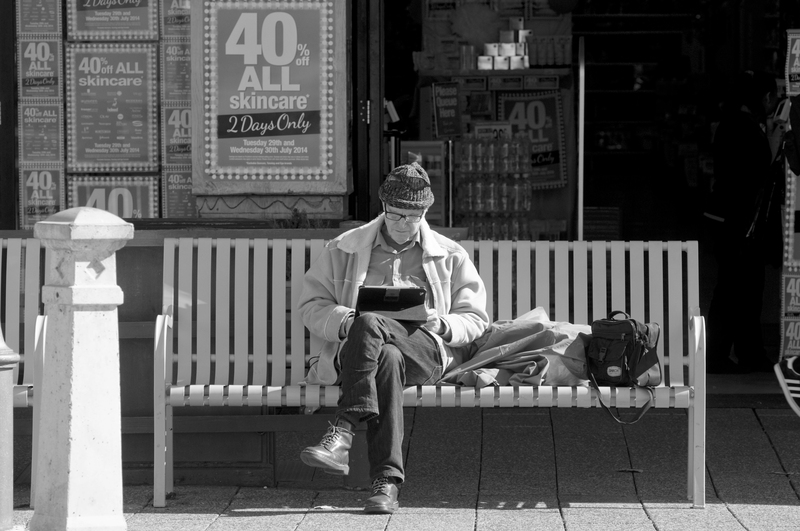 A man an his tablet talking to the world on Fremantle’s Kings Square. 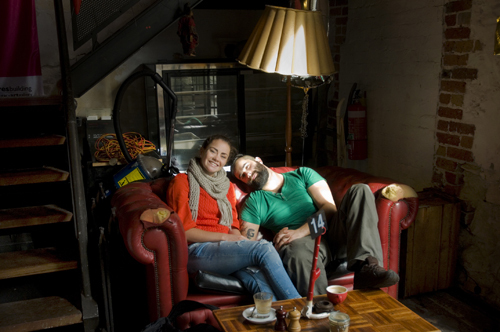 Many Fremantle cafes, like the Moore&Moore in Henry Street, have a great homely and quirky atmosphere. I took this photo of French chef Julien and a lovely friend while waiting for the right light to hit the building. It is a Rembrandt-like image, with the sunlight just lighting up the two people while the area around them remained dark. I absolutely love being a photographer! Most people hate TAGS, those spray painted initials by immature and disrespectful fools on buildings. TAGS are the ugly part of graffiti and cost local councils many thousands of dollars each year to clean up. Creative murals of graffiti art however are fantastic and should be encouraged. To spray TAGS, and leaving one’s mark like a dog that urinates against trees, is illegal and incurs fines, but with recent development I wonder if we should still be worried about TAGS when SAT appears to be a far worse new form of urban vandalism. SAT is state government initiated and sanctioned ‘graffiti’ that destroys cities and suburbs. SAT overrules local councils and makes planning departments obsolete. SAT erodes democracy because the community no longer has a say about the lifestyle they want to live and about the character of their cities. SAT dramatically and irreversibly changes the face and character of suburbs, with little regard for the wishes of the residents, ratepayers and elected council members. 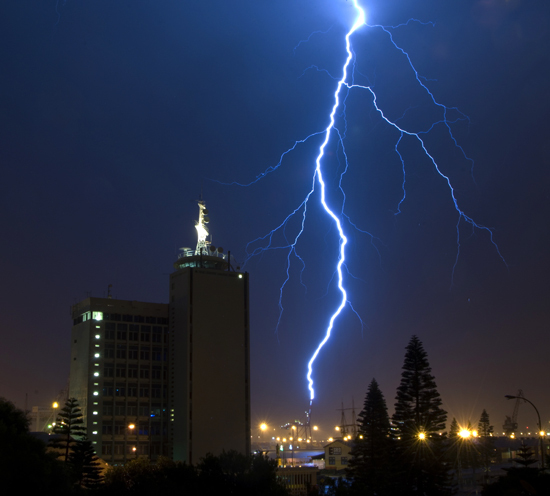 Local government is invaded and pushed aside by the Western Australian State Government, who demands higher density living and forces unacceptable high-rise in low-rise city centres. Subiaco and Cottesloe will never have the same appeal again, once modern ugliness has destroyed the ambience there. The proponents of high-rise keep assuring us that we will get iconic buildings, and that is true to some extent, because a building that totally dwarfs adjoining buildings and streets will be iconic in the sense that it sticks out like a huge eyesore. Sixteen storeys in the centre of Subi? You must be kidding! The rationale for putting high-rise in the centres is that the buildings need to be close to public transport, shopping, etc, while these high buildings really should be built on the periphery so that they don’t destroy the uniqueness of many of the older suburbs. High-rise near the Mandurah railway station for example would make sense because, for all the wrong reasons, the station was not built in the city centre. There is nothing wrong with higher density living. I believe it is essential because we can no longer afford the urban sprawl, as it has become far too expensive to build the infrastructure needed for it. But city planning has to be done with respect for the character of place. Sterile sameness of monotone concrete boxes is not the best solution to cope with increasing population. Far more sensitivity needs to be shown by our State Government that appears to be on an ego-driven high-rise crusade. In Fremantle we can accommodate high-rise in the Knutsford Street. It’s a five-minute walk to public transport and an easy twenty-minute walk or five-minute bike ride into the city centre. Beaconsfield and Hilton and probably even White Gum Valley could also accommodate higher rise. Be warned though that there are a few elected members in Freo who can envisage an “iconic 21-storey building” on the Woolstores site. People make cities. People create the ambience and lifestyle they want to live in, a place where they have a sense of belonging and where the community takes on ownership. By dismissing the wishes of the local communities, state government is making local governments irrelevant, because they can no longer decide what they want their cities to look like. SAT is vandalism far worse than TAG and it needs to be stopped before it gets out of hand.